Urgh…ironing. No one really enjoys doing the ironing. Or the washing. Or laundry in general. If we had been told in kindergarten, “you’ll spend approximately four months of your life ironing if you’re a busy parent”, we would have thrown in our growing up registration forms and happily sat on our hands in the sand box all day. 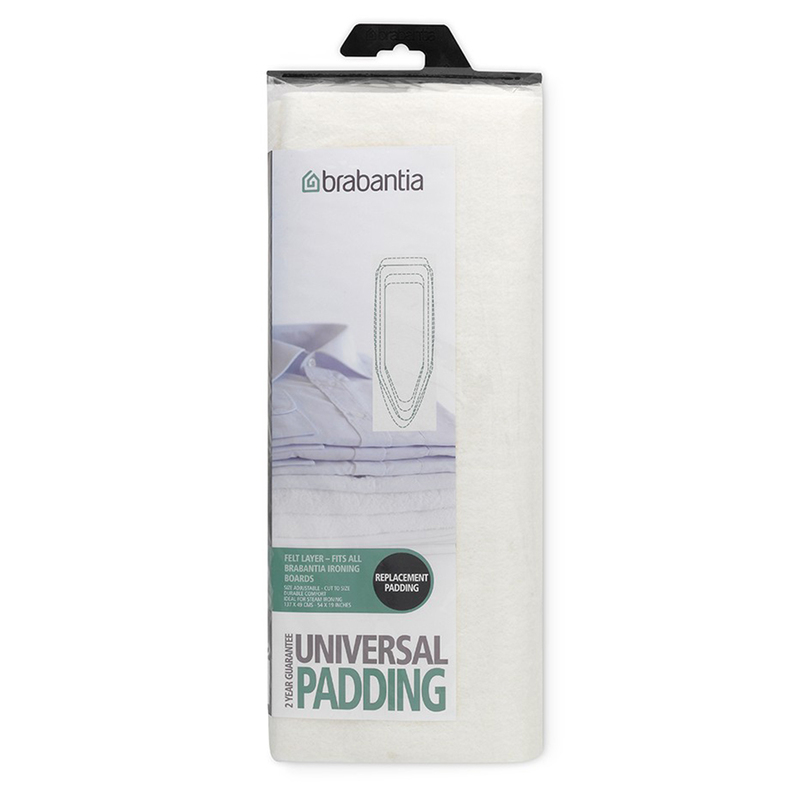 At least Brabantia makes the task easier with their Universal Underlay Replacement for your ironing board. It’ll put a real spring back into any old board, and is made from extra thick and resilient viscose to make your ironing experience more comfortable. It also absorbs moisture from your steam iron and can be cut to fit any ironing board. It’s no sand box, but it’s still pretty neat. Made from thick, 100% viscose. Provides a comforting layer during ironing and absorbs moisture from steam irons. Easy to cut down to fit your ironing board. Dimensions: 135cm (l) x 47cm (w).